Looking for a different way to celebrate Christmas break this year? 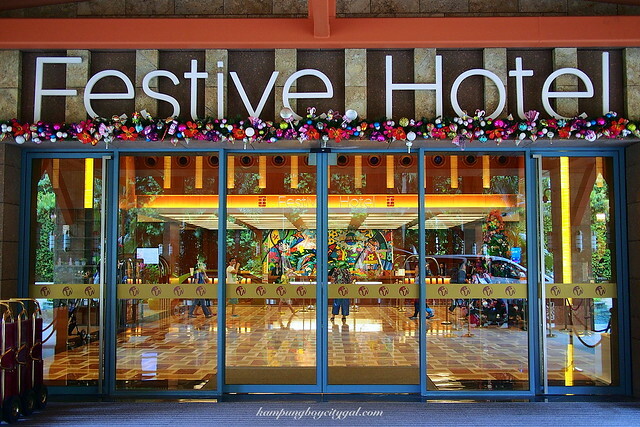 Perhaps a snowy Christmas celebration in Resort World Sentosa is all you need. 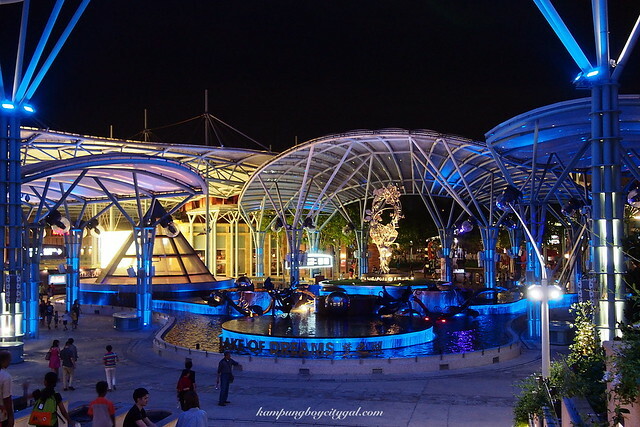 Last weekend, we spent an early Christmas break in Resort World Sentosa. It has been a while since we last had so much fun! 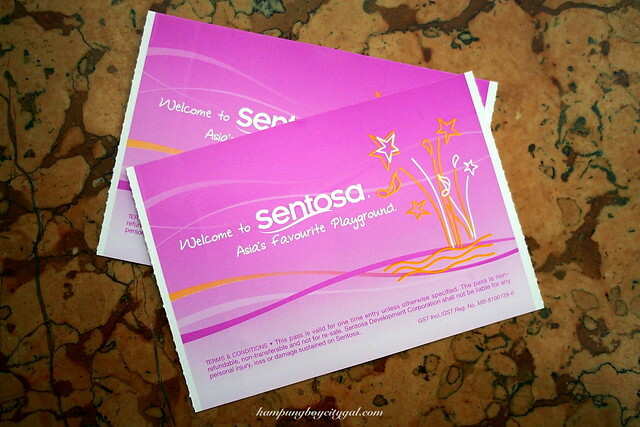 Our 2D1N stay in Resort World Sentosa was short but it was a time and money well-spent trip. 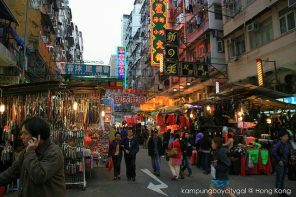 Our trip was a nice balance of everything – musical, theme park, museum, under water world, gourmet and shopping. Throughout our two days stay here, we don’t have to go out from RWS at all! 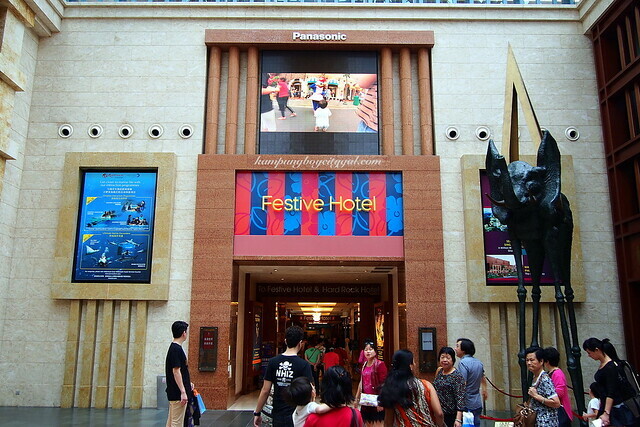 We took a morning flight to Singapore and manage to check in to our hotel after 12 noon. 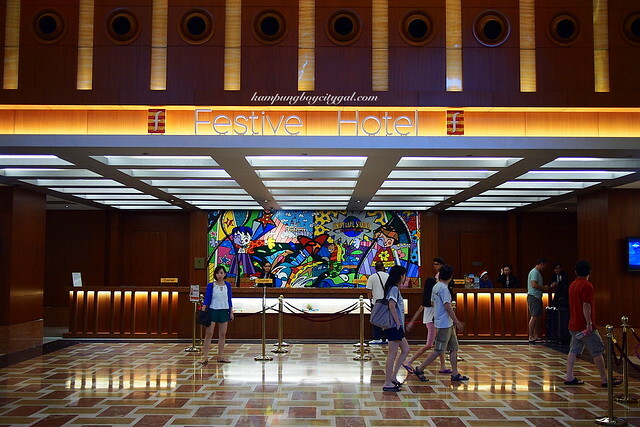 We chose to stay in the Festive Hotel due to it’s fabulous location – it is at the heart of the action near Festive Walk, World Square, Universal Studios Singapore and S.E.A. Aquarium. 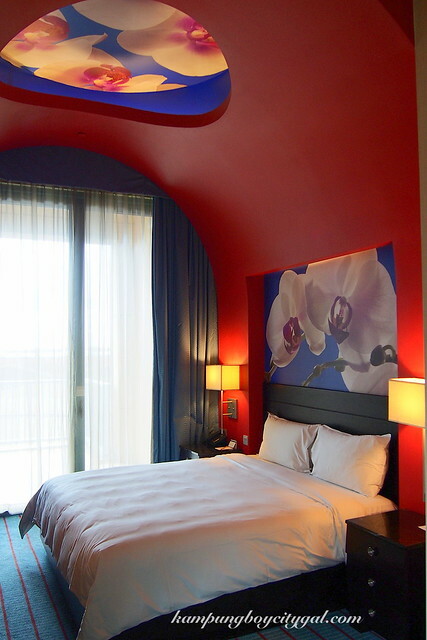 It is also a very family friends hotel; as doting parents with kids can check out its Deluxe Family King Room with loft beds and cribs. 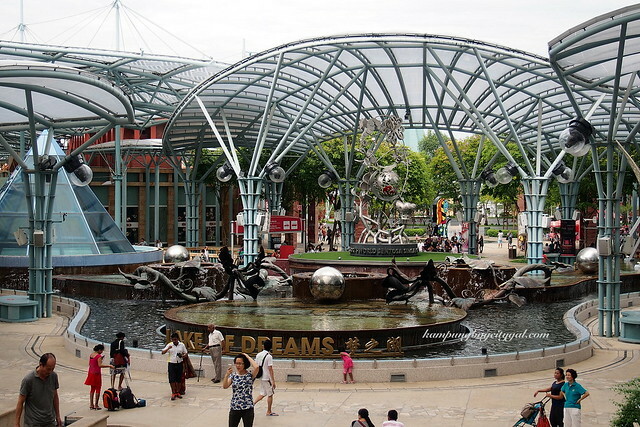 We were also given two free train shuttle ticket to the mall (Vivo City) across the island. Our deluxe room was a bit dated, but overall it was clean and cozy. 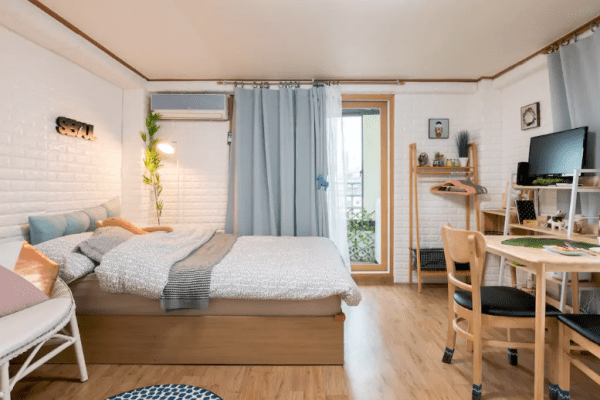 The room itself was large by Asian standards complete with an outdoor balcony. Festive Hotel guests get to enjoy an outdoor swimming pool with lively island ambiance and beautiful pool side cabanas. Apart from that, we were also granted access to gym facilities and free foam pool in Hard Rock Hotel. With its tropical landscaping and man-made sandy beach, I can just spend the whole afternoon in Hard Rock’s free-form swimming pool. 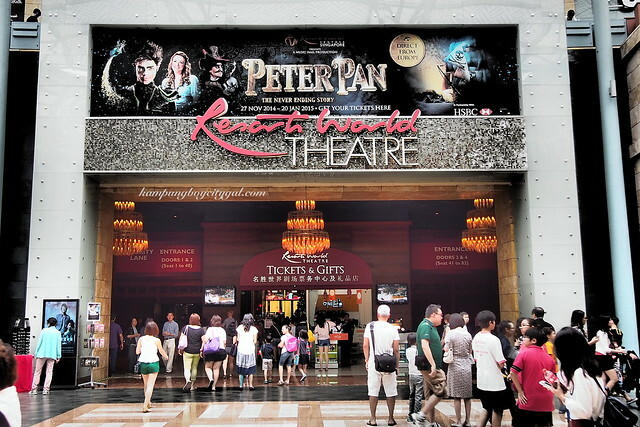 If you are staying in Festive Hotel and other hotels in RWS, you are entitled for a 30% discount on dining in selected restaurants (Osia is included, we had a great lunch here) as well as a 30% discount on Peter Pan – The Never Ending Story musical show’s ticket. Remember to make full use of the discount vouchers. Conveniently located beside the bustling Festive Walk, we were just a stone’s throw away from everywhere else. The walkway is air-conditioned and lined with the most exclusive of world-wide brands including Armani, Longchamp and Dior. We have decided to have our lunch in Osia of celebrity-chef-and-restaurateur Scott Webster’s fame. 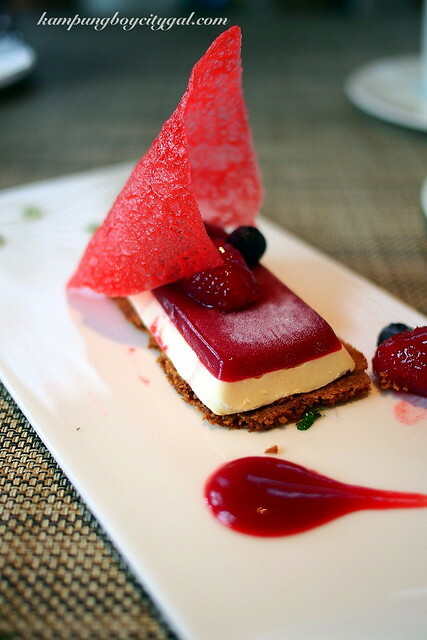 Composed of healthy, light seasonal dishes featuring the freshest ingredients from Australia as well as the Pacific Rim and Asia Pacific regions, the Osia experience is artfully complemented by sought after New World wines and attentive, delightful service in an elegant yet convivial atmosphere. If you noticed, the word OSIA is derived from Ocean and Australia – hence the best seafood can be found at this quintessentially contemporary Australian restaurant. Osia’s contemporary interior is a marriage of chic and casual, featuring large panel windows allowing in swaths of natural daylight, polished wood veneer and banquettes in the central dining room. The brigade of chefs create their inspired dishes within the open kitchen — with a beech stone hearth oven as its centrepiece. An adjoining bar area with a ceviche counter is anchored with sleek high chairs and marble tables. 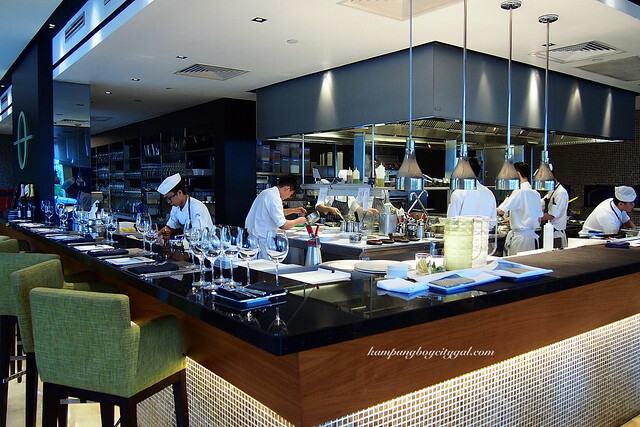 Osia Restaurant at Resorts World Sentosa is helmed by Chef de cuisine Douglas Tay, who has started to change the menu according to seasonal variations- an important Osia concept. 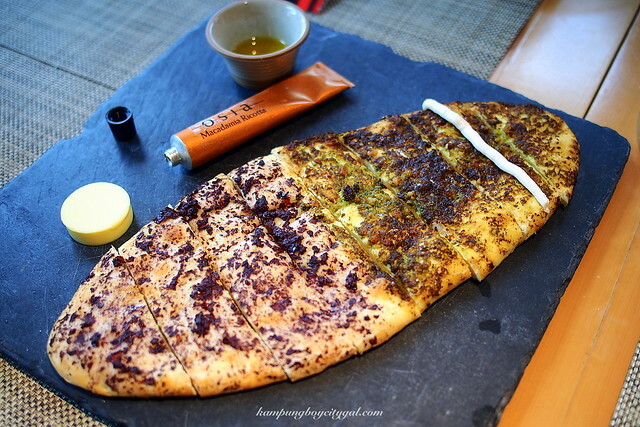 Flat bread (SGD 11++) is a signature here. 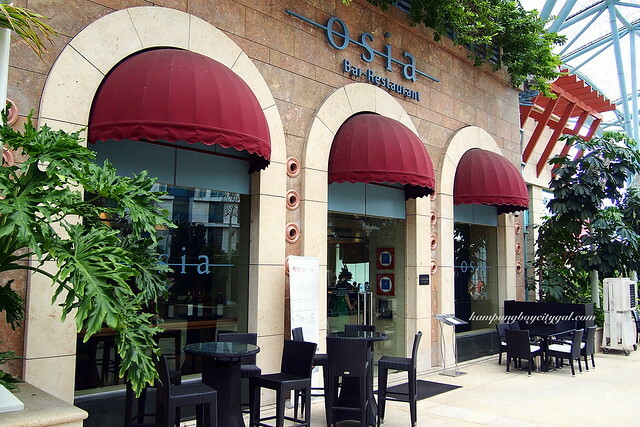 I have heard so much rave reviews on Osia’s stonehearth flatbread, so we had high expectation. Served with a tube of the house’s special macadamia ricotta, the breads were given a burst of flavours and creamy textures. The bread has a delightfully crisp crust, and is gorgeously airy and chewy on the inside. We opted for the 3 course lunch menu (SGD 45++, 2 course for SGD 35++) – first up an amazing swordfish carpaccio and pan fried foei gras with banana mousse, banana caramel and caramelized banana. KampungBoy was a bit anxious about this choice (banana overload!) 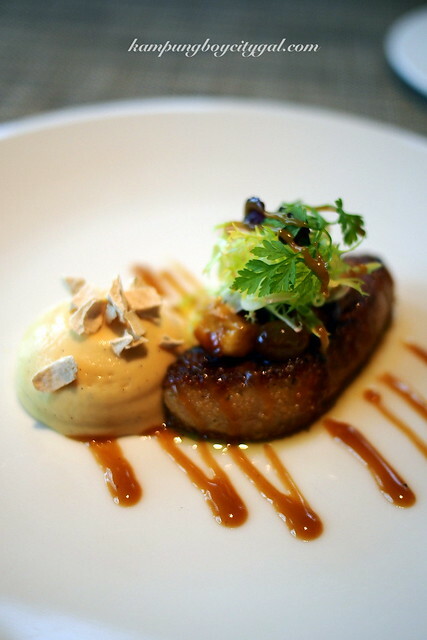 but need not have worried as the combination was perfect and the pan fried foei gras was a dream. 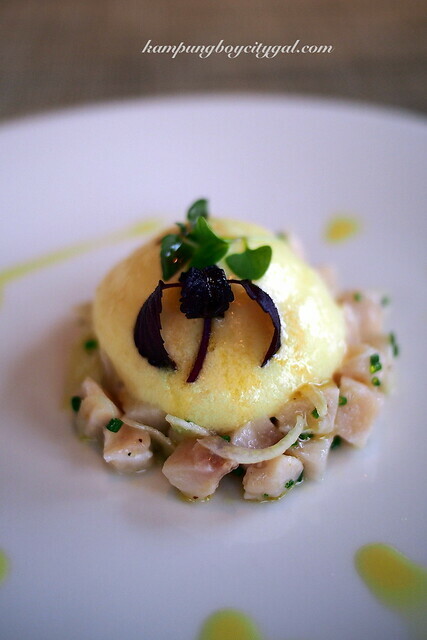 This was absolutely stupendous, a dish artfully conceived, perfectly executed and beautifully presented. Our main dishes were served at the table by one of the knowledgable and committed staff who demonstrated the right degree of solicitousness and emphatic knowledge of the cooking. 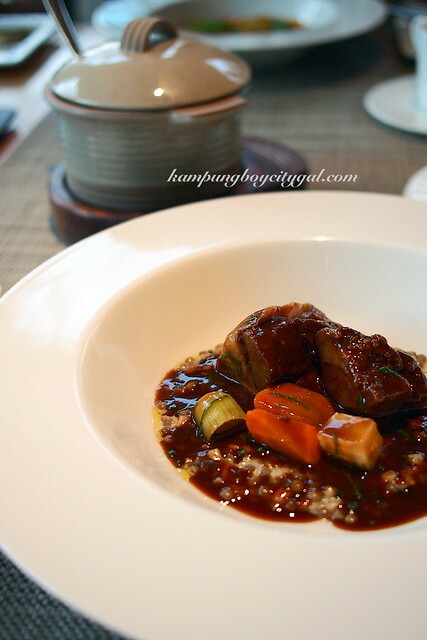 The bomba rice and lamb shoulder were the climax of the show, which we had been strongly advised by our waiter not to miss: the tenderest, tastiest cut of lamb shoulder served on a bed of puy lentil and pomegranate essence was delicious. The bomba rice too, was really flavourful. 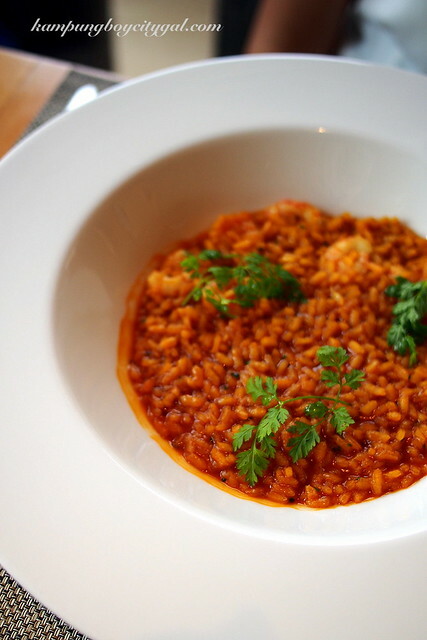 The briny crustacean flavour was soaked up by the grains. 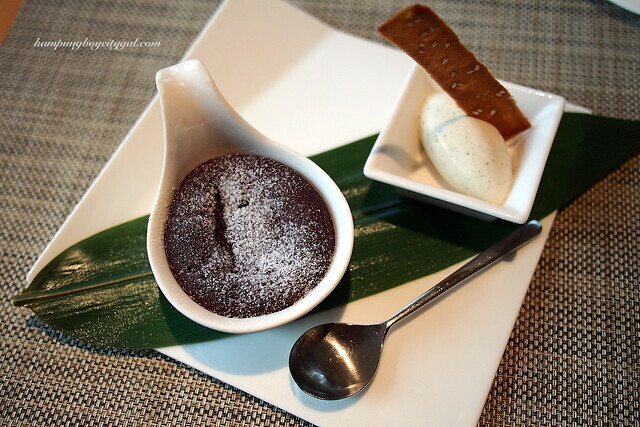 Our meal was rounded off with Valrhona Hot Chocolate Soup and Vanilla Mascarpone Iced Parfait. We were so excited to watch the Peter Pan – The Never Ending Story after our lunch. 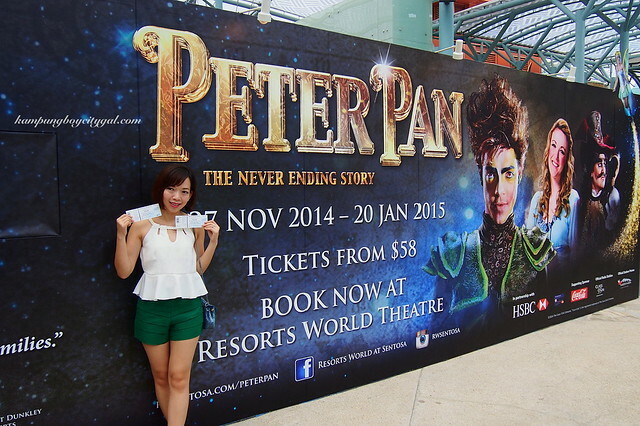 It is a classic J.M Barrie tale coming alive directly from Europe to Singapore. It is brimming with highflying action, thrilling swordplay and magical fairy dust. 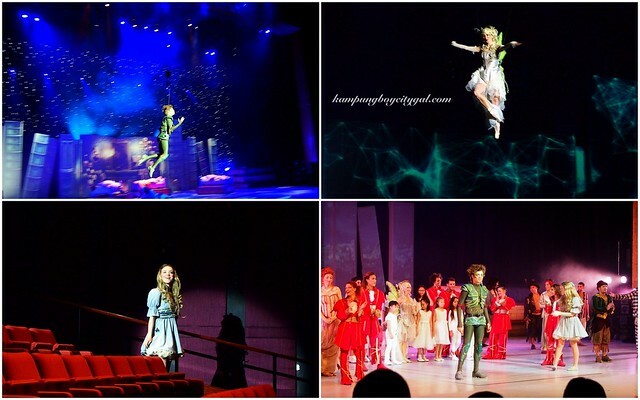 I think everyone pretty much knows or heard of Peter Pan, the mischievous boy who can fly and refuses to grow up. 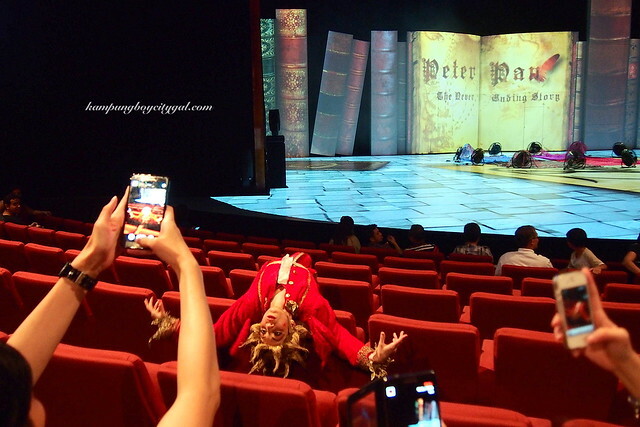 Before the show started, some of the cast members made a special appearance at the audience seat. Even Wendy came out to play before she went on stage. I like how the whole musical incorporated a lot of well-known pop songs from the likes of Robbie Williams, Josh Groban and Westlife. Remember “You Raise Me Up”, “Kiss From A Rose” or “Forever Young”? It has given this classic story some modern twists. The casts were given a refreshing makeover by musical director Matt Dunkley (the name behind the soundtracks of Moulin Rouge, Pirates of the Caribbean and Inception) too. 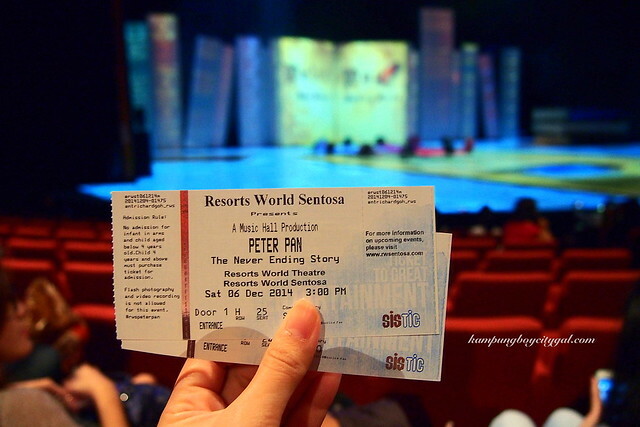 Get your tickets at SISTIC or Resorts World Theatre. 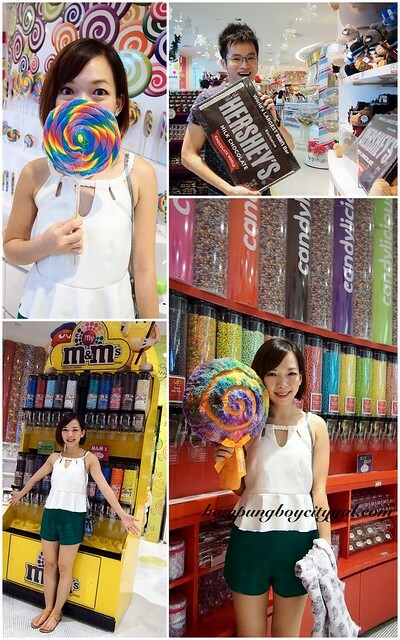 After the show, we went on to explore the colourful world of Candylicious. I’m loving those visually mesmerising pillars embedded with candy, and a canopy of a colourful lollipop tree covered with dangling lollipops. 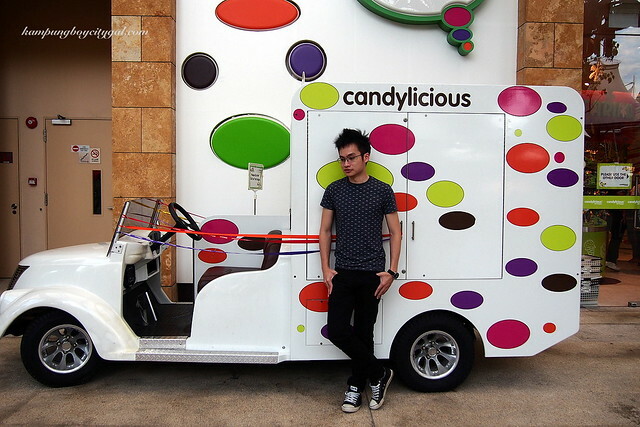 Candylicious is a vibrant 9,000 square feet concept store representing fantasy, joy and irreplaceable childhood memories. 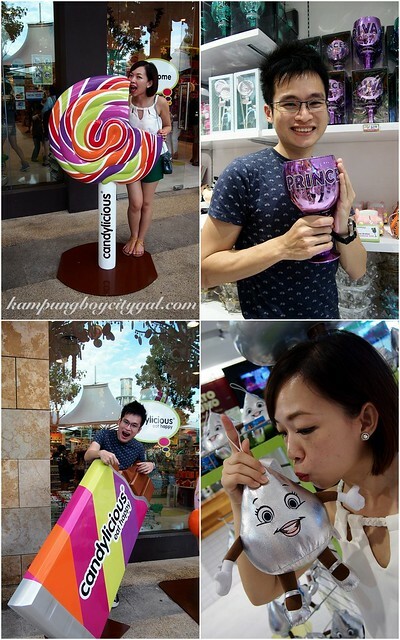 It combines candy and the world of imagination into a hip and fashion-forward candy store. With walls and aisles featuring endless varieties of sweets, the young and young at heart will find it hard to leave this candy heaven. We had so much fun taking photos and buying the best souvenirs for our friends and families. 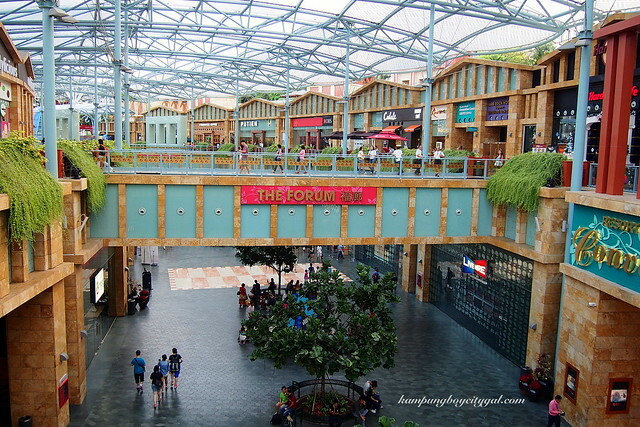 The retail space in RWS covers so many brand names and F&B outlets such as Din Tai Fung, Pu Tien, Starbucks, Joël Robuchon Restaurant, Cedele Bakery, Bread Talk and etc. For dinner, we pigged out at the Starz Restaurant! 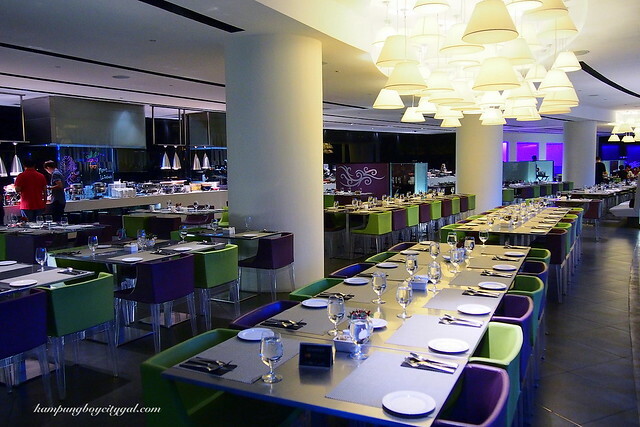 This colourful and fun restaurant is home to a semi-buffet lunch and lavish buffet dinner, featuring an extensive variety of international and local cuisine. 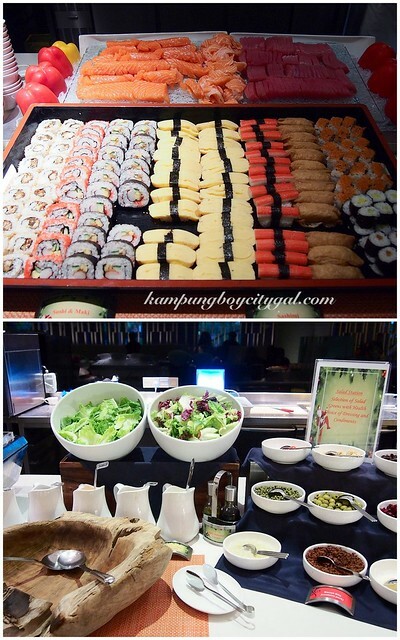 We were bowled over by the sheer volume and variety of the buffets. 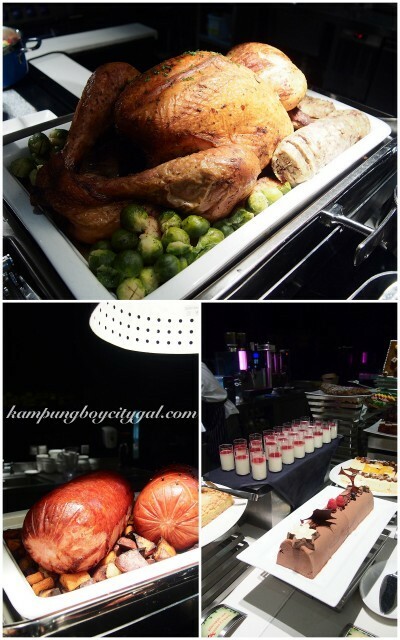 It is a very popular dinner buffet restaurant in Singapore, judging by the crowds consists of mainly families, friends and even corporate gatherings. 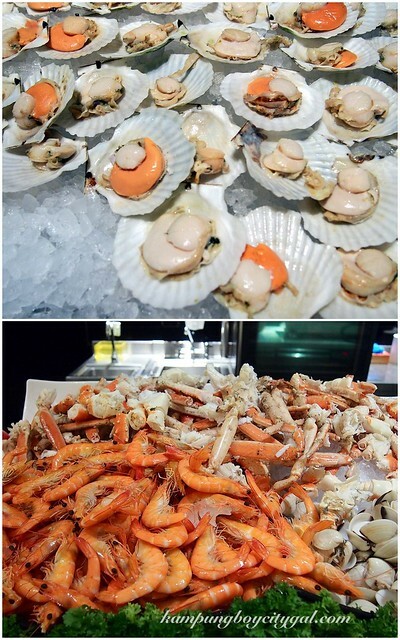 There is an eye-popping array of fresh seafood – prawns, shellfish and crabs. 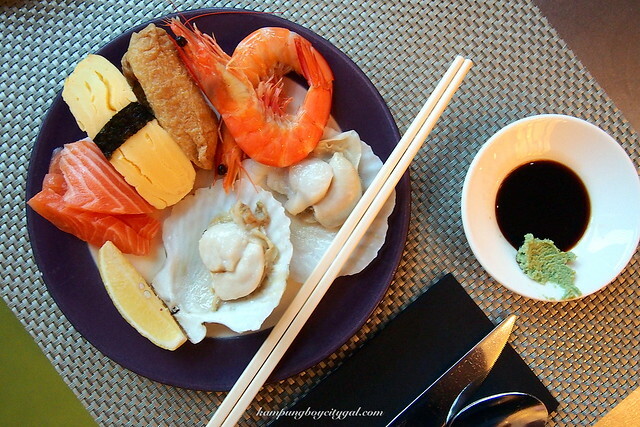 The sashimi selection is fresh and regularly refilled as are the sushi, nigiri and maki rolls. There’s also a do-it-yourself salad corner. There are also live stations where you can watch the chefs prepare food just the way you want it. I like how the buffet includes yule log cake, whole turkey and meat loaf for this holiday season. 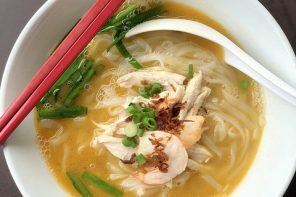 Among the hot food counters, there’s a good rendition of Singapore chili crab, garlic steamed fish and local favorites such as noodles and curry. 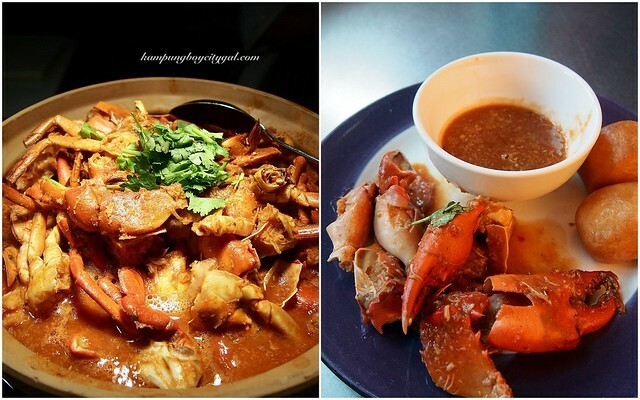 And how could we missed out Singapore’s iconic Chilli Crab? The sweet and spicy sauce is so good that we kept reaching out for those mini mantou buns to mop up any that happens to be left. 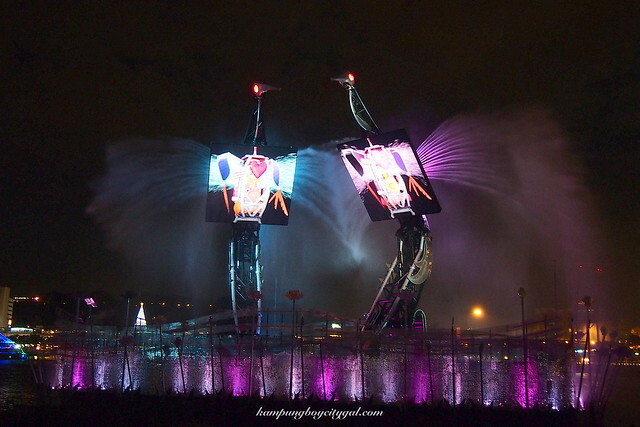 We rounded up the night with a beautiful display of water, fire and light at the Lake of Dreams (930 pm daily) and pair this with the Crane Dance (9pm daily), where mechanical cranes transform into birds through a journey of love. The Lake of Dreams show is a spectacular choreographed display of fire, water and light, designed by four-time Emmy award-winner Jeremy Railton. 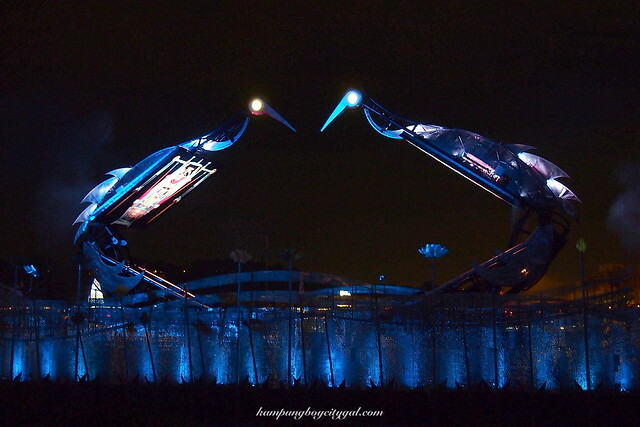 The crane dance is a show that is not to be missed, the combination of groundbreaking audio visual technologies, and stunning light and water effects perfectly illustrates the cranes’ graceful courtship ritual. We are in awe of the sheer size of the steel cranes moving deftly in the midst of water illusion and play of light. This rounds up an exciting day 1 for us. 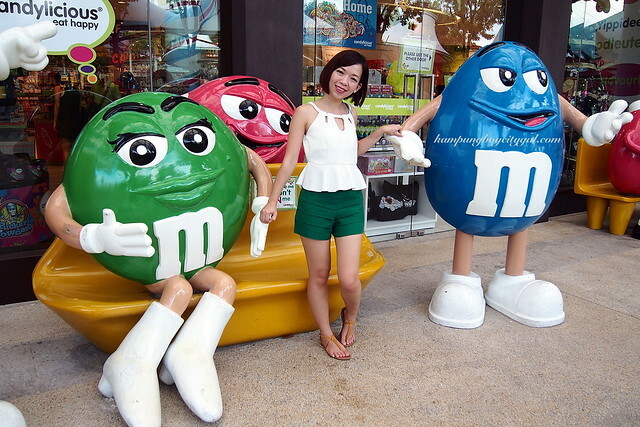 Stay tune for day 2 as we finally visited the Universal Studios Singapore and S.E.A Aquarium! 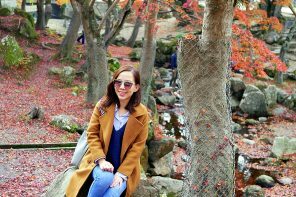 Previous articleCuti Cuti Malaysia with Great Hotel Deals!